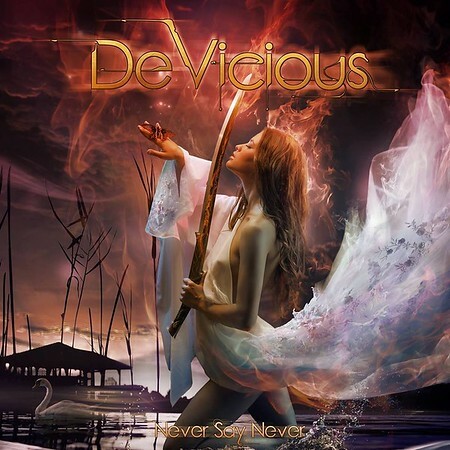 “Never Say Never” is the debut album from Germany based band DeVicious and it was released on 24th August via Pride & Joy Music. The band features musicians from Germany, Spain and Serbia who have all worked with other artists and bands over the years. In 2016 they formed the band DeVicious in Karlsruhe with the aim of playing 80’s inspired rock. I included the track “Everything” on the Friday NI Rocks Show on 3rd August. DeVicious are Zoran ‘Mister Sanders’ Sandorov on vocals, Radivoj Petrovic on lead guitar, Alex Frey on bass, Gisbert Royder on rhythm guitar, Denis Kunz on keyboards and Lars Nippa on drums. The band released a few videos earlier this year and toured Germany with Xtasy and Ammunition. They’ll be on the road with Hardline during December and have already started work on their second album.